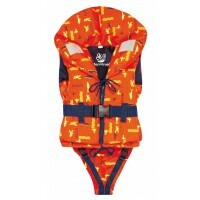 A great lifejacket for a baby or small toddler between 5 and 10Kgs with the added interest of a fish pattern. 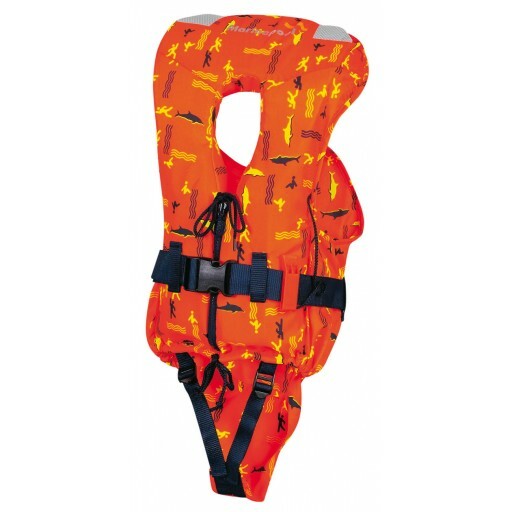 Life jacket for babies and toddlers between 5 and 10 Kgs with 100 Newtons of buoyancy with the added interest of a fish pattern. In the water it turns the child within 2-6 seconds to a face-up position, through increased buoyancy in collar the head is lifted out of the water, optimised comfort through divided foam compartments and flat collar.